The GrillSOS team consists of highly trained BBQ grill cleaning experts committed to providing you with the most convenient and effective mobile grill cleaning service available in the Jacksonville area. GrillSOS is a locally owned boutique grill cleaning service offering professional BBQ grill cleaning services to all grill enthusiasts in the greater Jacksonville area looking for a top notch grill cleaning experience. Maintaining a clean grill is essential to healthy grilling and increases the useful life of your grill investment. 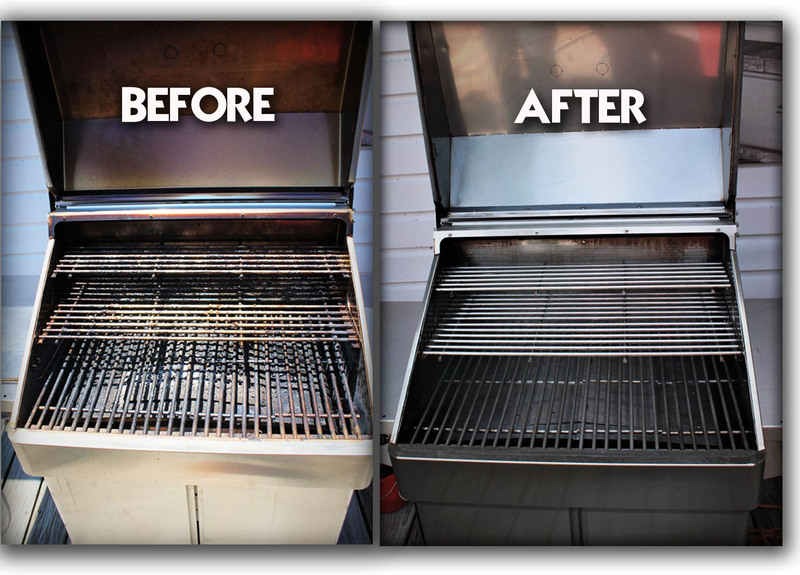 We recommend an annual professional deep cleaning of your grill, or perhaps more often depending on use. At GrillSOS, we stand behind not only the quality of the grill cleaning service we provide, but also the quality of the experience you’ll have working with our grill cleaning team. We have the equipment, experience, and expertise to safely and properly clean all types of gas BBQ grills from top to bottom, inside and out. Our grill cleaning service is completely mobile and frequently services quality gas grills not only in Jacksonville, Florida, but throughout most of the Northeast Florida area, including Ponte Vedra Beach, St Augustine, Fleming Island, Orange Park, Fernandina Beach, and more. We look forward to being your local grill cleaner of choice! For more information or to schedule an appointment, please call 904-436-1233 or email bbq@grillsos.com. All Content © 2018 GrillSOS™. All Rights Reserved.